The Christmas season is here, as you’ve probably noticed on a recent trip to the store. Christmas decorations have started to adorn the shelves at your local supermarket, so it’s time to start preparing for this festive season. If you’re a pet owner and want to give your dog a special treat this year, why not get creative and make some DIY dog treats? Apple and mint Christmas dog bones are a festive green color, and you can replace the green food coloring with spinach if you prefer a natural alternative. The ingredients include rolled oats and applesauce, resulting in a tasty treat that your dog will love. Gingerbread dog cookies are lots of fun to make, because while you’re making a batch of gingerbread human cookies you can add some dog ones to the baking tray too! Traditional icing is not recommended for dogs, but you can actually get icing suitable for dogs so you can draw little faces on your dog’s cookies too. A dog won’t really care if their treat is decorated, but you’ll feel great knowing how much effort you put into baking for your dog. Calvin’s Christmas cookies is a recipe designed by a dog owner who felt bad that their dog couldn’t enjoy a lot of the luxurious food around Christmas. Their beagle would be wide-eyed and drooling at all the human desserts, so Calvin decided to make something their pet could enjoy. The idea of dog candy canes is so fun. Making these may take more effort than some of the other recipes, but the idea of hanging your dogs canes on the Christmas tree or putting them in a cute baking box is too cute to resist. Mutt mints are a tasty combination of mint, honey, and wheat. The recipe is relatively simple and your dog will definitely enjoy these. Carob is a healthy alternative to chocolate that is suitable for dogs. Carob molasses dog treats is a simple recipe that is low in purine, making it a better choice for preventing kidney stones in your canine companion. 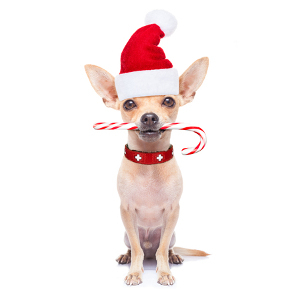 Now that your dog has a wide variety of Christmas dog treats to choose from, you can also ensure their Christmas season is enjoyable by taking good care of their health. Your pet’s health during the winter season is important because the cold weather can make their immune systems more vulnerable. There are a number of ways you can take care of your dog during the winter. Regular grooming is essential to help them on their way to shedding their summer coat and developing their winter one. If you neglect a regular grooming routine, your pet will have dead hair that is prone to clumping and can become itchy and irritated. Make sure your dog is comfortable by giving them a thorough brush at least once a week. The cold temperatures during winter mean that you need to make sure your dog is, at the very least, dry and comfortable. If you keep them outside, make sure their kennel doesn’t have any cracks or holes in it so that heat isn’t escaping. You might even want to improve the comfort level of their kennel by adding insulation on the inside or fortifying it on the outside. If they have blankets, and have been in the cold rain, make sure it’s nice and dry for them going to sleep at night. Alternatively, you might just want to bring them inside for the winter. 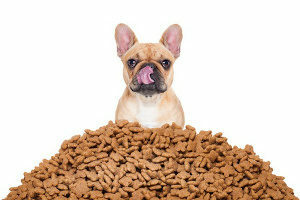 Finally, to take good care of your pet this season, it’s imperative to monitor their eating habits and increase the amount of food you give them daily. The cold weather means that they use more energy keeping themselves warm, so make sure you take this into account when feeding them. All in all, these considerations will help you and your dog to enjoy a fun Christmas season together.